Angel Agustin Pech, a 52-year-old Latino male, died Monday, Aug. 6, after sustaining blunt force trauma in University Park, according to Los Angeles County coroner's records. Maria Virginia Otero, a 71-year-old Latino female, died Saturday, March 3, after sustaining blunt force trauma in University Park, according to Los Angeles County coroner's records. Siaufung “Bosco” Tjan, a 50-year-old Chinese man, was fatally stabbed Friday, Dec. 2, inside a building at the University of Southern California in the 3600 block of McClintock Avenue, according to Los Angeles County coroner’s records. About 4:30 p.m., police received a 911 call about a victim with multiple stab wounds, said LAPD Det. Meghan Aguilar. Responding firefighters found Tjan’s body inside his 10th-floor office in the Seeley G. Mudd building. Tjan was stabbed in the chest, and a 28-year-old student was taken into custody, police said. 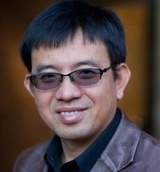 Tjan was an expert in adaptations that people make to overcome central vision loss. 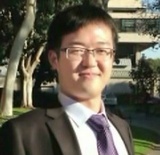 Xinran Ji, a 24-year-old Chinese man, was fatally assaulted July 24 near West 29th Street and Orchard Avenue in University Park, according to police. Police said they believe that Ji, an engineering student, was walking home from a study group about 12:45 a.m. when he was assaulted. Ji was hit with a blunt object but managed to get back to his apartment, where his body was found later that morning by his roommate. Detectives determined that Ji had been attacked earlier in part because of a “significant amount of blood” they followed from his apartment to the scene of the assault, said an LAPD official familiar with the investigation. Ji may have tried to get away from his attackers after the beating began but was assaulted a second time, law enforcement sources said. Posted July 7, 2009, 8:35 a.m.
Luis Hernandez, a 68-year-old white man, was shot several times July 4 in the 1000 block of West 20th Street in Historic South-Central. He died July 7 at the hospital, according to the Los Angeles County coroner's office. Craig Harvey, a spokesman for the coroner's office, said Hernandez was sitting in a car when someone drove up, got out of the car and fired several shots. The shooting took place at 3:50 p.m. July 4 and Hernandez was pronounced dead at 8:35 a.m. on July 7, Harvey said. Posted March 11, 2009, 9:10 p.m.
Cesar Ramirez, a 25-year-old Latino, was fatally shot by police officers on Wednesday, March 11, in the 2600 block of Menlo Avenue in University Park, according to Los Angeles County coroner's records. The incident began when Southwest Area patrol officers stopped a car for possible narcotics violations about 8:30 p.m. in the 1500 block of West Adams Boulevard, according to an LAPD news release. They saw a pedestrian standing in the street, leaning into the car and talking with the four men inside. Officers directed the pedestrian onto the sidewalk, and Officer Ruben DelCastillo approached the driver. Posted Sept. 18, 2008, 2:37 a.m.
Bryan Richard Frost, 23, a USC film student, died of stab wounds suffered in a fight near 28th Street and Orchard Avenue about 2:30 a.m. Thursday, Sept. 18. The Idaho native was walking with two other students when the struggle occurred. UPDATE: Travion Terrett Ford, 24, was arrested on suspicion of murder for the attack that police said was not gang-related. Police also said that they had recovered a knife they believe was used to kill the student and that they were questioning a female companion of the suspect. Posted March 21, 2007, 9:12 a.m.
Robert Belton Sr., 82, a black man, was found dead in a home at 1156 W. Adams Blvd. in West Adams with puncture wounds in his neck. Medical examiners later determined that his was not a natural death; it was a homicide, from "sharp force trauma." His time of death was listed as 9:12 a.m. Wednesday, March 21. Brian Kevin Verdesoto, a 18-year-old Latino male, died Saturday, Oct. 21, after being shot in University Park, according to Los Angeles County coroner's records. Steven Wayne Trotter Jr., a 16-year-old black male, died Sunday, June 11, after being shot in University Park, according to Los Angeles County coroner's records. Loli Dolores Castaneda, a 25-year-old Latino male, died Friday, July 29, after being shot in University Park, according to Los Angeles County coroner's records. Juan Jose Prieto, a 20-year-old Latino male, died Friday, Aug. 6, after being shot in University Park, according to Los Angeles County coroner's records. Jose Luis Cervantes-Cruz, a 34-year-old Latino male, died Wednesday, July 16, after being shot in University Park, according to Los Angeles County coroner's records. Paula Portillo, a 43-year-old Latino female, died Saturday, May 17, after being shot in University Park, according to Los Angeles County coroner's records. Eric Antoine Battle, a 27-year-old black male, died Friday, April 25, after being shot in University Park, according to Los Angeles County coroner's records.